With the soon to come sacking and subsequent death of Gary Thain, it seems incredible that this was to be the last album by the line up which has come to be regarded as Uriah Heep's finest. In fact they only recorded four studio albums together, although the nucleus of the band (Box, Byron, Hensley, and from "Demons and Wizards" on Kerslake) recorded more. "Wonderworld", Hensley's name for his dream world where he finds inspiration for many of his songs, continued the slightly softer more melodic approach of its predecessor "Sweet Freedom". 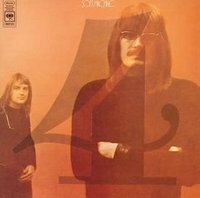 The opening title track is a power ballad, with soft melodic verses and a sweeping chorus; it is reminiscent of "Sunrise" from "The Magician's birthday". "The shadows and the wind" has Heep's most complex ever vocals arrangement, almost Beach Boys like in structure, if not sound. "The Easy road" is one of those lovely soft Hensley ballads, which he appeared to write with Byron's vocal prowess in mind. It really is a truly moving song. On side two of the album, "I won't mind" is a plodding blues, and despite the excellent guitar work, one of the most disappointing Heep tracks of the period. The final track "Dreams" has a melody which sounds very similar to the old single "Windmills of your mind" by Noel Harrison. It's a very good track though, if slightly lacking in the impact which previous final tracks have had. In all, "Wonderworld" is another solid album by the classic line up, but the cracks are definitely beginning to show It does lack the knockout punch of other albums by that line up. The recently released "deluxe" remaster has excellent sleeve notes and packaging, and includes 6 additional tracks. Two of these are live versions of tracks on the album, one a slightly extended version, and three are tracks recorded as part of the sessions for the album, but not originally included on it. Here the long slide Downwards of one of the top and gender-defining Hard-rock group is evident and the results are plainly sculpted on wax. It was clear that all was not well internally and Thain would get soon kicked out , and Byron was looking up in his own arse and..... a million other stuff made this album ..... a failure but still correct when seeing what was to come . Wetton will come in for one album worse than this one and then ..... Although I have heard the albums alkl the way to Fallen Angel , I will stop my reviews of this band here as the classic line-up is dwindling apart. It was not prog , anyway. I must admit that "Wonderworld" was a bit of a disappointment. The title song which opens the album is great, the keyboard sounds predict the feeling of a the forthcoming "Return to Fantasy" record, and there's a great pathos on it! 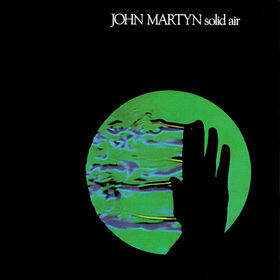 There are also some other good tracks like the following "Suicidal Man", which is quite heavy in URIAH HEEP's standards, and it has some very good bass lines by late GARY THAIN. But too many of the songs aren't very good, and many of them are clearly basic rock'n'roll fillers. Maybe the band should have had more time to create better compositions? I think one can get the hit song from some of the many compilations, and at least one shouldn't spend very much money for this LP! For the second time in their history, the album opener is a ballad : "Wonderworld" : great melody but not quite usual a track for the Heep. This album will clearly mark a line between the great moments the Heep has achieved in the past and their current (not talking about their future) production. "Suicidal Man" has a catchy melody and is quite a good hard rock song. One of their weakest track so far is "The Shadows And The Wind" : sometimes ridiculous (listen to the finale of this song to be convinced). Rather poor : no words to describe it. I can only recommend to skip this track. Fortunately, "So Tired" is a good hard rockin' tune. One of the best song of this album, but not a classic to be remembered. Just above average on this album. Good rhythm and at last some... fantasy. The syrupy "The Easy Road" is very poor (thank god, it is a very short one). Hell ! What happens to the Heep ? Strings and trumpets ! I must be dreaming. The Heep tried (once more) to reproduce "Easy Livin' " with "Something Or Nothing" : the end result is not bad when compared to the other tracks. It will not achieve to approach this legendary number but it is good enough to raise a bit the level of this album. The Heep will then try a bluesy one. Did they try and match Mark III Purple and their bluesy oriented sound at times with Hughes ? I don't know. " 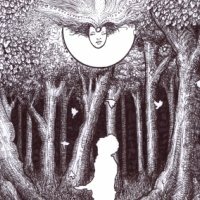 I Won't Mind" is not bad in the genre. It features a great Box on guitar and it's one of the best track of this album. The worse is probably reached with "We Got We". Only the chorus saves this song from complete chaos. "Dreams" is one of the highlights (but would never have been considered as such on previous releases). A good song though, full of great keyboards and bass playing (again, this is a Heep trademark, whoever holds the bass so far). "What Can I Do" is a typical middle of the road song. An average rocky one : not disturbing nor too boring. A bit too much elevator-type music for me though. The remastered edition features some bonus tracks : remixes or live versions. Not bad of course, especially "Something Or Nothing" but they won't raise the quality of the album unlike previous ones in which the bonuses were really good. 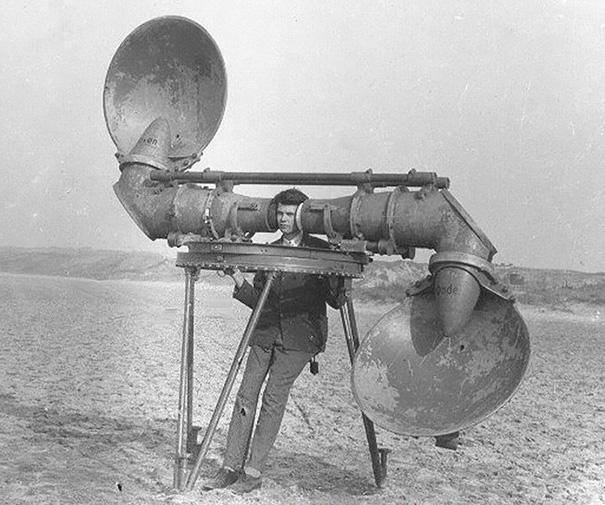 I guess that it was due to the lack of originality of the Heep in those days. IMO this is the weakest Heep effort so far. Not yet a disaster but only deserving two stars. THE MAGIC TOUCH IS GONE!! 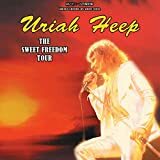 We are in 1974 now; URIAH HEEP has released 6 studio albums and a live one between mid-1970 and 1973; this is maybe a record , even for back then when releasing a new album every year was the norm. 6 albums (from good to great) in 3 years, you have to expect one day, the inspiration and energy will dry at some point. Finally, the first bump will arive with WONDERWORLD. Despite the title, we are not entering anything close to wonderful when listening this album. I guess KEN HENSLEY after composing most of the songs of UH repertoire run out of ideas and inspiration. So KEN HENSLEY discovered the virtue of democracy and let the other members of the band join him in the joy of writing great new anthems, so to speak. I can't see one number of this album that could make it on any URIAH HEEP compilation or best-of; a lot of middle of the road rockers like ''Suicidal man'' or the tired ''So tired'' or the inept ''something or nothing''with nothing special. You listen to them once and after it's over, you can't remember anything about these songs: dull, uninspired, completely forgetable. 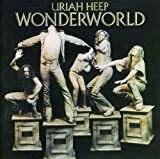 On the other hand, URIAH HEEP is trying to get into the power ballads; not a success either, even if the title track WONDERWORLD is the best track of the album, imho. Even DAVID BYRON seems to go through the motions and has hard time to bring his passion to these weak songs. I guess was a reason KEN HENSLEY was almost the sole writer of the band: the other ones , especially MICK BOX, only bring bland rockers with no meat on the table; So when KEN HENSLEY gets tired and lack inspiration, the whole band is set to suffer badly. ''I won't mind'' is for me the best part of the album, thanks to a great extended guitar solo from MICK BOX; But again, everything goes down badly after that with the awful ''We got WE''.............iS it the same band that came up with LOOK AT YOURSELF? difficult to believe how the mighty have fallen. 3,5 stars really. Wonderworld is definitly the least succesfull album done by their ´classic´line up of the 70´s. It was done during a big inside crisis (Byron´s drinking and bassist Thain addiction to heroin) and not many critics liked it at the time. And there is controversity about it even today. Nevertheless, they still could deliver a better work than most of their competition. The LP has a great side one: the classic title track, Suicidal man, The Shadows and The Wind and the beautiful short ballad The Easy Road. Only So tired is a throwaway song, with its lyrics confessing its lack of inspiration explicity. side two is not as good: not a really bad song, but not any highlights either. What saves the album is the group´s fantastic chemistry: even at their lowest those guys were special, including Gary Thain´s playing is impeccable and fluid. those backing vocals are also unique and thrilling. Certainly changes had to come, but they did it in a very sad fashion, with Thain´s death not long after the LP release. And things would never be the same again. 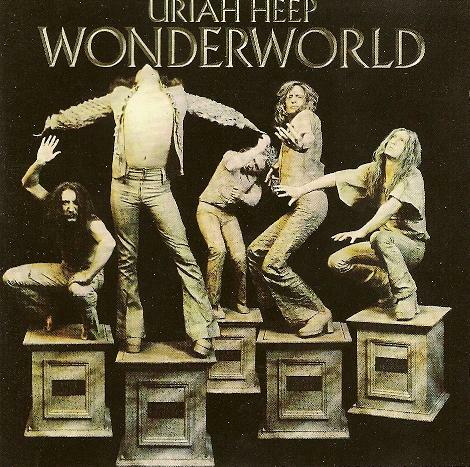 So Wonderworld, with all its faults, is still a good farwell CD to Uriah Heep´s golden era. Not their best for starters, but essential for the fans. Revisiting the Uriah Heep catalogue and Wonderworld has always been a kind of loner of an album. It is not weaker than it's predecessor Sweet Freedom and contains a lighter edge and mood to the album. ' Wonderworld' the opening number gets the album off to a great start. In fact the first half of the album is pretty darn good, after that the inconsistencies begin to creep in. This may well have had a lot to do with the dischord within the band, the spiralling downward slide of both Thain and Byron from health point of views. Hensley's dominance perhaps along with Box and Kerslake's input remain the cement within the mix.' The Shadows and the Wind' is a classic UH piece and also the Hensley written ' The Easy Road'. ' Dreams' the closer is also a great rocker and the various bonus tracks on the master release shed some more light to this often unfairly criticised album. The second side of the album is much weaker, with only Dreams standing out as a decent song. I used to like this album a lot and I still love some of the songs on the first side. But, Wonderworld doesn't really deserve a high rating. Still, I give it three stars for the interesting moments. Overall, I think that this is a decent Uriah Heep album, even slightly better than the likewise uneven Sweet Freedom (that came just before it) and Return to Fantasy (that came just after it). 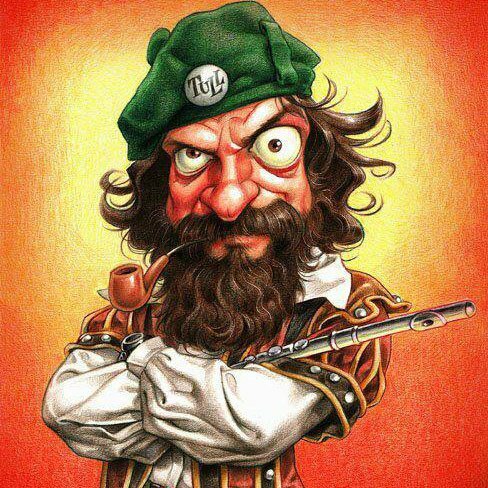 Another proud deja vu for Uriah Heep. But not exactly deja vu, because of the rhythmical variety of the album. It contains so much different types of ideas like one melancholic piece - The Easy Road; blues-oriented I Won't Mind; some rock & roll songs like energetic So Tired, Something Or Nothing, What Can I Do and We Got We; hard rocking one - Suicidal Man; hymn-oriented The Shadows and the Wind and two songs, I would call, of extreme highest standard - the homonymous Wonderworld and Dreams. It means, that almost the half of the songs are rock & roll oriented, but even though the musicianship is so powerful, except the drums. I think the drums are little bit hollow. The Byron's voice is again powerful after the experimentations on Sweet Freedom! Again 4 honest stars for the heepsters!!! Only four months after the release of 'Sweet Freedom' and the band were back in the studio for 'Wonderworld'. The problems that had been apparent during the recording of the last album grew as some of the band turned to drugs of one type or another to cope with the burnout. Given the workload that they were being placed under it really isn't surprising. They started work on their seventh studio album in January 1974, less than four years since the release of their debut and when not in the studio they had been on the road. Try explaining that schedule to bands today. Due to all of these factors coming into play it is probably of little surprise that the album suffered somewhat. However, not nearly to the extent that one might think. Although there probably isn't any song here that could remotely be given the 'classic' moniker, the album itself is consistent. The band themselves felt at the top that they could do no wrong and this confidence does come through. David Byron was a great singer and frontman, and in Ken Hensley they had a great keyboard player and songwriter while guitarist Mick Box, drummer Lee Kerslake and bassist Gary Thain were no slouches either. In "The Easy Road" they showed that they were more than just a hard rock band as piano and extremely lush orchestration showed another side of the band, while "Something Or Nothing" showed that they could still blast away when they wanted to. Yet again this has been remastered by Rob Corich with more bonus cuts. 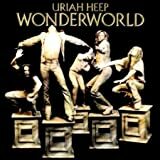 Post a review of URIAH HEEP "Wonderworld"